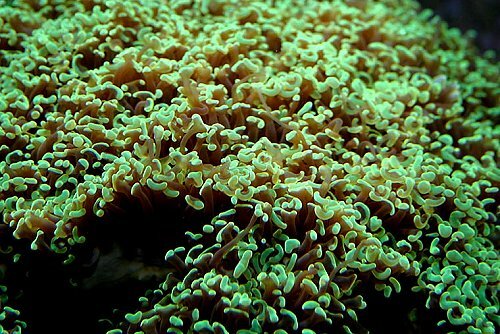 I don’t think it’s an exaggeration to say that for virtually every marine aquarist the number one enemy standing in the way of success with coral reef fish is the pathogen know as Cryptocaryon irritans, often call saltwater Ich. Through out the Seventies it reached epidemic concentrations in almost all fish only aquariums. It could be eliminated with a combination of copper and formalin, but at concentrations that often brought the host (fish) near elimination simultaneously. I often felt that killing saltwater Ich was like trying to kill cancer in humans with chemotherapy – would the patient survive the so-called cure? Wise and seasoned aquarists learned to quarantine new fish to prevent the reintroduction of the pathogen. With the establishment of reef tanks a superior environment was provided for reef fish, and fewer became afflicted with saltwater Ich, either because fish’s immune system’s were healthier, or it was harder for the parasites to reproduce and find hosts, before becoming food themselves for hungry invertebrates. A newly hatched Cryptocaryon irritans seeking a host might very well fall victim instead to a hungry Euphyllia ancora. See the photo of the author’s 15 year old E. ancora. Unfortunately, despite healthier fish and predatory corals, newly introduced parasites often do find hosts and begin to reproduce to numbers dangerous to ones fish. What compounds the problem is that the most effective cures known to this author cannot be used in a reef tank. Saltwater Ich is after all an invertebrate, and what will kill it will also kill other invertebrates in ones reef tank. This is the dilemma faced by all too many reef keepers, especially those too impatient to quarantine their new fish first. With this in mind, Advanced Aquarist begins in this issue a five part series on Cryptocaryon irritans. The author, Terry Bartelme, has studied this parasite in great detail and will offer the benefit of his research in this series. I understand that if you are having problems with saltwater Ich now you can not afford to wait 5 months for advice, but I’m sure that Terry will offer you advice if you post your question to our Author’s Forum. This is one of the great benefits of online publications – immediacy.